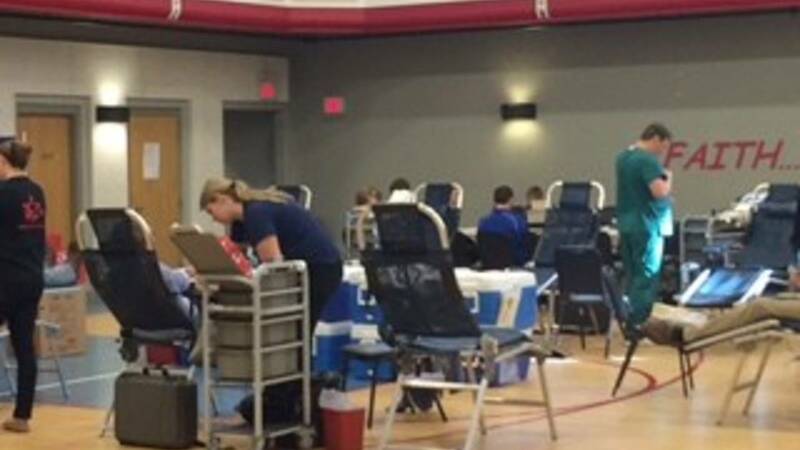 Roanoke (JLRV) – The Junior League of Roanoke Valley, Inc. (JLRV) has teamed up with the American Red Cross to host its 15thannual blood drive, "Have a Heart," on Saturday, March 25th at Grandin Court Baptist Church in the MAC Center. Donation hours are 8:00 a.m. to 4:00 p.m.
All eligible blood donors are encouraged to give blood and help save lives in March, Red Cross Month. Platelet donors and blood donors of all types, especially type O negative, are urged to give at an area blood drive or donation center. "The need for blood and platelets is constant. Across the Appalachian Region, the Red Cross needs to collect 200 to 250 units of blood each day to keep up with the demand to support hospital patients in need," said Bernadette Jay, external communications manager, Appalachian Red Cross Blood Services Region. To pre-register for the blood drive, donors can use the Red Cross Blood Donor App or visit redcrossblood.org, use the zip code 24015 and sponsor code juniorleague. Walk-ins are welcome. Donors are encouraged to eat a meal prior to giving blood and drink plenty of water.